Although modern ski slopes are pushing the design envelope around the world, France's sixties Avoriaz resort still stands out as a shining pioneer in ski resort design. Opened in 1966, Avoriaz is located on a narrow plateau atop the steep cliffs leading to the town of Morzine, just an hour outside of Geneva. The remote location gives the stunning resort an incredibly unique off-the-grid atmosphere that creates a magical experience for devout skiers. Thanks to a recent report and photographs by Alastair Philip Wiper, the world can get a glimpse of this beautiful and historic landmark. The Avoriaz resort was the brainchild of 1960’s Olympic downhill gold medal winner Jean Vuarnet. After Vuarnet returned home triumphant from the games, the municipality of Morzine asked the professional ski racer to help design a popular ski area for the town. With the help of investor Gerard Bremond and architect Jacques Labro, the architectural wonder of Avoriaz was designed and constructed. When it opened in 1966, the resort was only accessible by cable car from the bottom of the cliff. Once inside the hotel, each individual door opened to a ski piste that ran in to town. To pick up groceries and supplies, guests had to ski into town and take one of the public lifts back up to the top. For those looking for an alternative to the ski-slope or cable car methods of transportation, a horse-drawn sleigh was also available to guests. 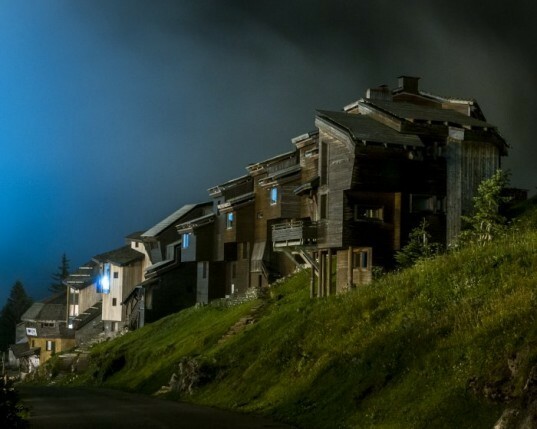 To add more intrigue to the resort‘s already popular reputation, master publicist and investor, Bremond, launched the Festival International du Film Fantastique d’Avoriaz. The horror and fantasy film festival ran from 1973 to 1993, and it was an immediate success that bought much attention to the resort’s dark and magical ambiance. 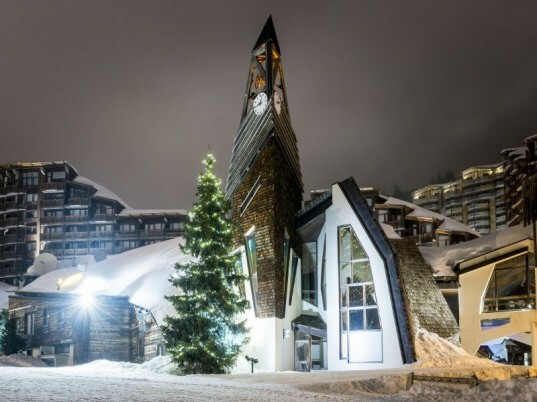 For more information on this incredible site, photographer Alastair Philip Wiper interviewed the architect of Avoriaz, Jacques Labro, when he visited the opening of the photographer’s Copenhagen exhibition, which runs at the Bygningskulturens Hus until 31st March. The Avoriaz resort was the brainchild of 1960's Olympic downhill gold medal winner Jean Vuarnet. After Vuarnet returned home triumphant from the games, the municipality of Morzine asked the professional ski racer to help design a popular ski area for the town. 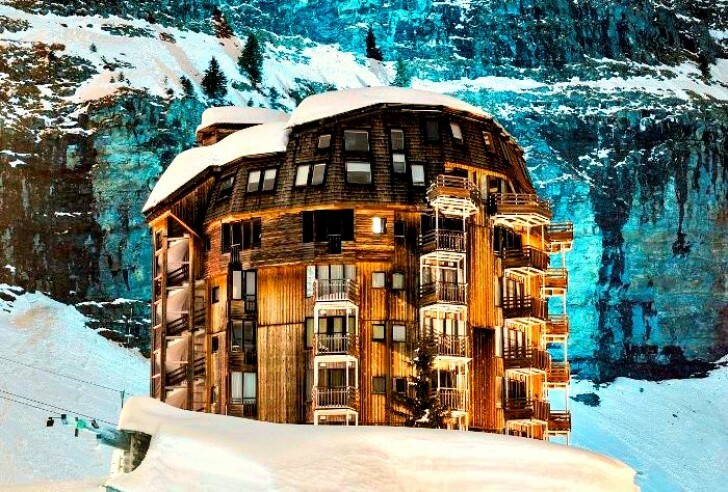 With the help of investor Gerard Bremond and architect Jacques Labro, the architectural wonder of Avoriaz was designed and constructed. Although the multi-disciplined team certainly set out to create a one-of-a-kind luxury ski resort that catered to the jet-setting upper class, the team also had the foresight to harmoniously blend the resort into the remote location while giving the structure an slightly mysterious presence. When it opened in 1966, the resort was only accessible by cable car from the bottom of the cliff. Once inside the hotel, each individual door opened to a ski piste that ran in to town. For those looking for an alternative to the ski-slope or cable car methods of transportation, a horse-drawn sleigh was also available to guests.